I believe it was in October when GM made the eAssist system available nationwide for the 5.3L Silverado and Sierra. 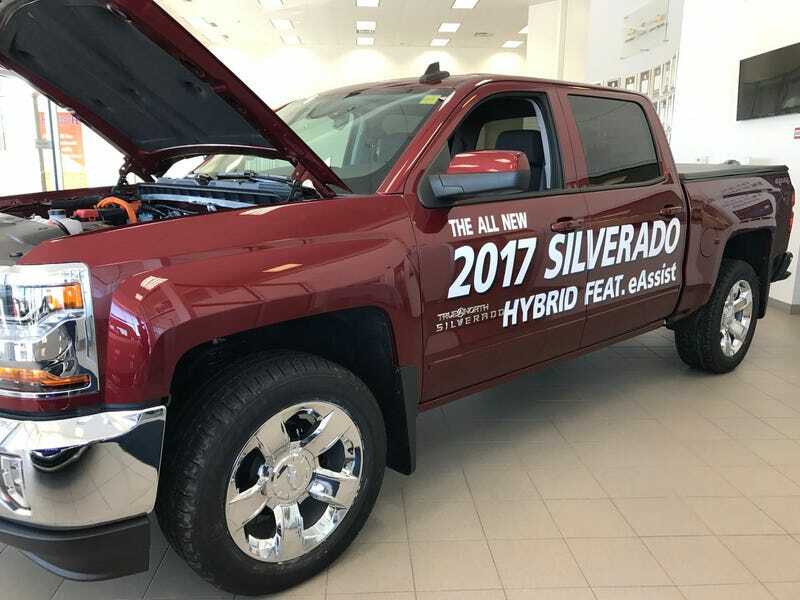 So there are “two” V8 mild hybrid pickups on the market right now and the system is only a $500 premium (originally it was a $1,125 option for Californians). I know that the 2016 MY was limited to only 500 Silverados in California, then expanded to 2017 Silvs and Sierras before going nationwide for 2018. The eAssist gives the 5.3L the same around town fuel economy as the V6 engine, well the 2WD version anyways. EPA estimates are 18/24/20 combined but 16/21/18 with 4WD. That 2WD economy is very close to sedans and coupes of similar power outputs. Curb weight is increased by about 100 lbs but you get a 15 kw electric motor that can offer a performance boost of 13 hp and 44 lb-ft. The real key is that it makes the stop/start system completely seamless, allows the EcoTec3 to run in 4-cyl mode longer, and you get regenerative braking to charge the air-cooled 0.45 kWh lithium battery. *I want to say it is limited to Crew Cab Shortbox setups, but I’m certain they appear on the 2018 MY configurators for the 1500 Silverado and Sierra pickups. You can play around with that, I’m going to bed. **Yep, the eAssist is currently an unlockable character. Have fun and good night!